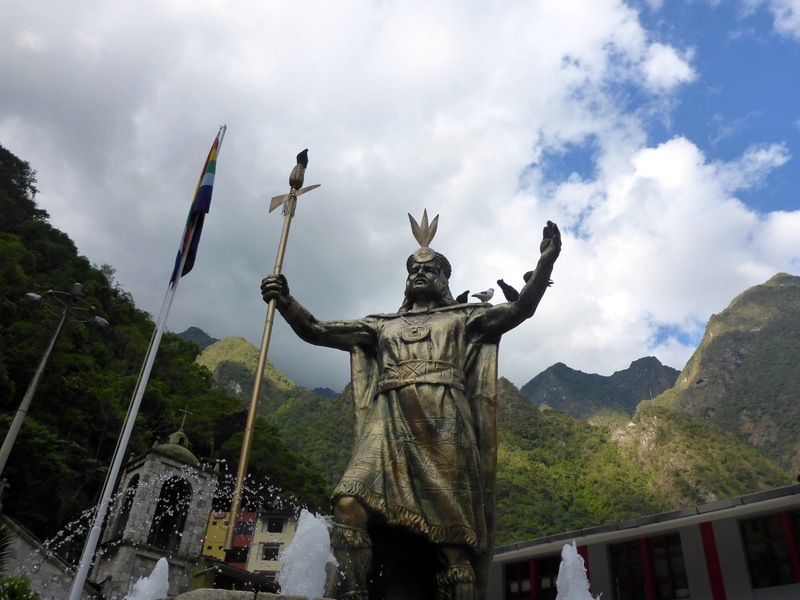 Walk like an Inca: Salcantay! If you’ve followed this blog for more than a minute or know Liz and I at all you’ll know were not ones to plan things 6 months out. 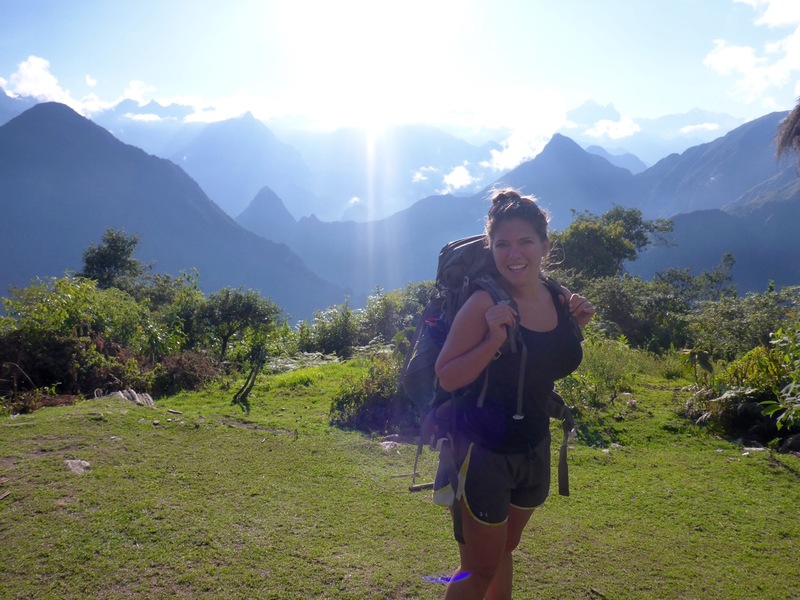 That’s apparently what it takes to hike the “Classic” Inca Trail to Machu Picchu. It’s limited to 500 people a day and books up 6 months in advance… Seriously 500 people a day on a trial. No Thanks. Lucky for us there are a number of other ways to get to Machu Picchu some of which even involve hiking. 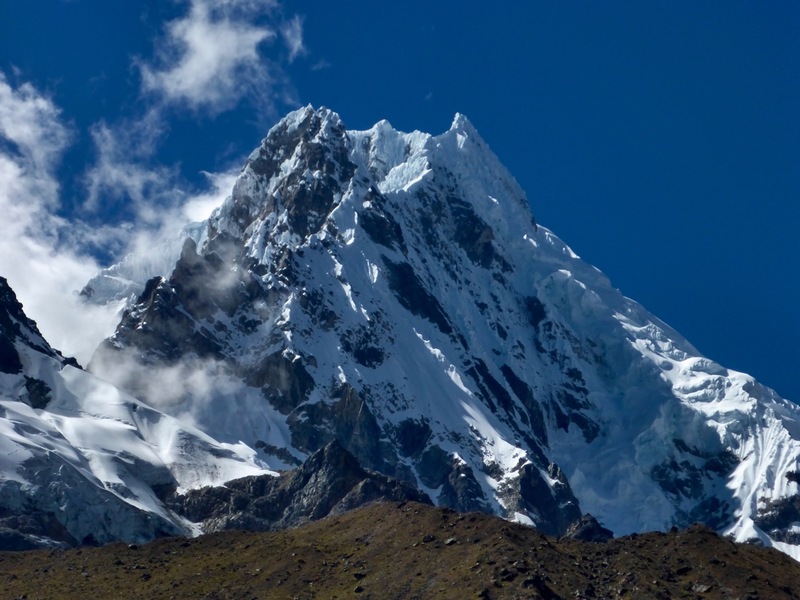 After a lot of option weighing we decided on the Salcantay Trek which follows another of the Inca’s many highways through the Sacred Valley on a 4 day trek and includes a 4600m pass. Best part… you can hike it without a guide and you don’t need tickets! This is Liz’s new favorite mountain, Salcantay. We made our way to the edge of town and up a gravel then dirt road climbing all the way. It was surprisingly hot and when a guy driving past offered us a ride we jump at the opportunity to cut a few minutes off our trek. He drove us for about 10 minutes to where our ways parted and probably saved up 30 minutes of walking in the hot sun. Shortly there after we saw our first, of many, tour groups that were unloading from mini buses and starting their hike. The rest of the first day was a hot up-hill slog with some awesome views. 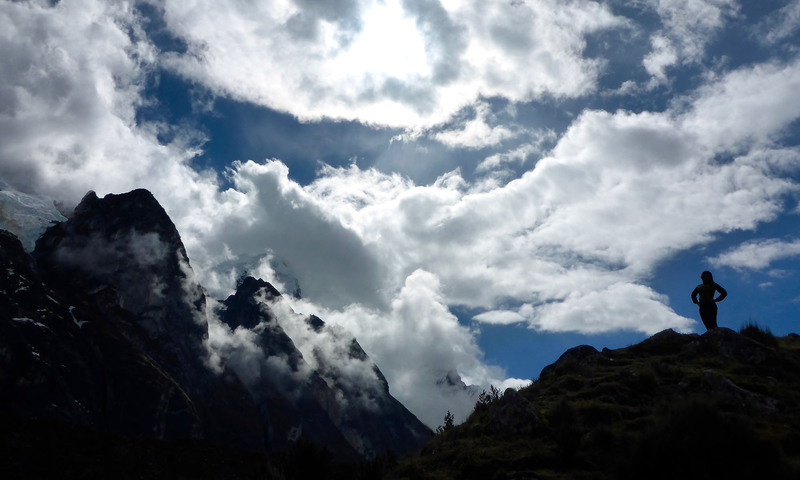 We rose with the sun and started our push to the pass at 4600m. The first hour was pretty brutal, our muscles were cold and sore and it took a while to get warmed up, but once we were the trail was beautiful and we found our rhythm. At the top of the pass we were pleasantly surprised to find a summit that was enjoyable and a nice place to hang out for a bit. It was down right pleasant, even in a t-shirt. We took some photos, socialized a bit with some of our new friends, and of course found time to do our signature “airplane at the summit” move! We enjoyed the sunny weather before turning our boots downhill. After a few hours of downhill I realized I couldn’t suppress it any longer. That rumble in my stomach had grown from “maybe a little gas” to “I think I’m going to poop on myself.” The challenge now was where. Or trail had become a bit of a donkey path with dense vertical jungle to our left and barbed-wire fence and drop off to our right. I decide it’s time to warn Liz of the impending doom. Honey, I think I’m going to $#!† myself. And so starts the search for the perfect location… make that any location. Did I mention the team of donkeys and porters we had just passed about five minutes ago that are hot on our tail? Eventually, as the pressure builds, I get less selective and I find the perfect place to hang off the edge. At this point there is no longer any questions… I should not have drunk the Tang. We hobble into the next campsite about an hour later and Liz enjoys a cold beer with our new friend Mark while I head straight for the bathroom. After about an hour, a dozen trips to the baño, a few Peptos, a prescription strength anti-diarrheal, and a Gatorade, I’m feeling semi-confident I can probably make it 30 minutes down the trail to the next campground where we planned to camp. We made it and were greeted with a beautiful site right in the middle of the valley. I collapsed on the ground while Liz set-up the tent, cooked dinner and suggested I take some of the hydration salts she had ever so wisely suggested we carry with us on all hiking trips. After dinner I perked up a bit before feeling a bit ill again and deciding I needed to go to sleep. The next morning I felt worlds better and when Liz ask if I was up for the alternate route I was game. It was downhill-ish for the first 3.5 hours until we reached La Playa where the trials split, one climbs 800+m uphill to Llactapata (another set of ruins) and the other down to the tourist town of Santa Teresa and the hot springs. We started uphill at about noon and it was absolutely sweltering. We’d hike for 15 minutes then rest in the shade for 5 but eventually we made it to the top of the mountain and the Llactapata ruins from which you can see Machu Picchu across the valley. Our campsite for the night was a few minutes down the trail and had an even better view of Machu Picchu. It was a pretty magical sunset. Then it was up early the next morning for the big walk down the hill and along the train tracks to Machu Pichu Puebo, Aguas Calentes, The tourist town at the base of Machu Picchu. The entire town is basically there to support the tourism of Machu Picchu. Such a beautiful country. I considered doing this trek when I was there but my stay was too short. Thanks for sharing your experiences along the way!